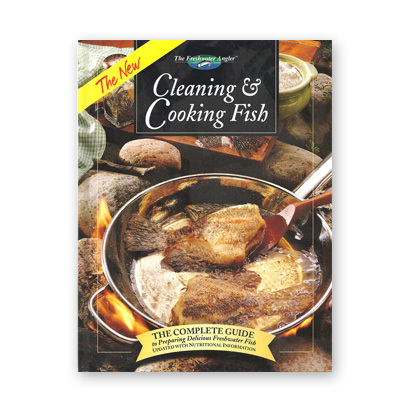 Learn the various methods for cleaning fish, from field dressing to filleting to cleaning. Find out how to cook your catch, from broiling to poaching to smoke cooking. Create mouthwatering appetizers, salads, soups and chowders, and main dishes such as baked walleye and ratatouille. There's over 120 different recipes, all shown beautifully in full-color photographs. Substitutions and nutritional informational is provided help make your fish cooking as simple and healthy as possible. ABOUT THE AUTHOR: Sylvia Gashline has won several awards for her articles and photos dealing with a variety of outdoor subjects. She has served as president of the Pennsylvania Outdoor Writers Association and as a board member of the Outdoor Writers Association of America. Sylvia has roasted brook trout over a campfire in Maine, panfried crappies in a Kentucky campground, barbecued largemouth bass on a Texas ranch, and poached lake trout in the wilds of Saskatchewan, all while gathering information for her books and magazine articles. CURRENTLY OUT OF STOCK!